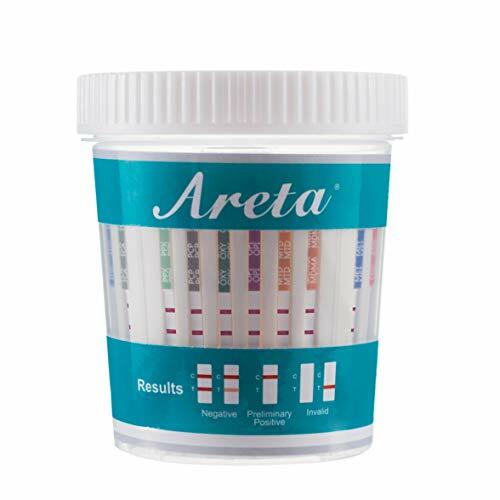 You will receive:5 Pack Individually Wrapped Areta 14 panel instant Drug Test Cup plus temperature strip. 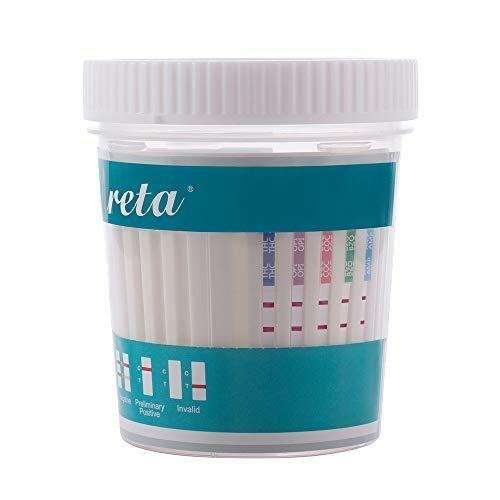 The Drug Test Cup tests instantly for 14 Different Drugs: Marijuana (THC),Cocaine (COC),Opiate (OPI 2000),Methamphetamine (MET),Oxycodone (OXY),Amphetamine (AMP),Barbiturates (BAR),Benzodiazepines (BZO),Methadone (MTD), Methylenedioxymethamphetamine (MDMA),Phencyclidine (PCP),Tricyclic Antidepressants (TCA) #ACDOA-1144. 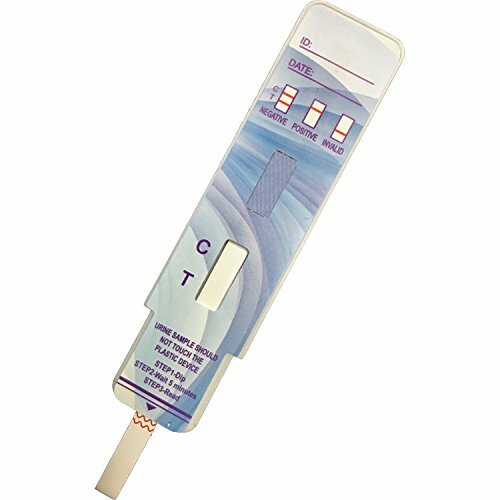 You will receive:10 Pack Individual Easy@Home Single Panel Cocaine Drug Test Kits. A rapid accurate method of determining the presents of cocaine residues, the swabs are foil packed for indefinite shelf life. 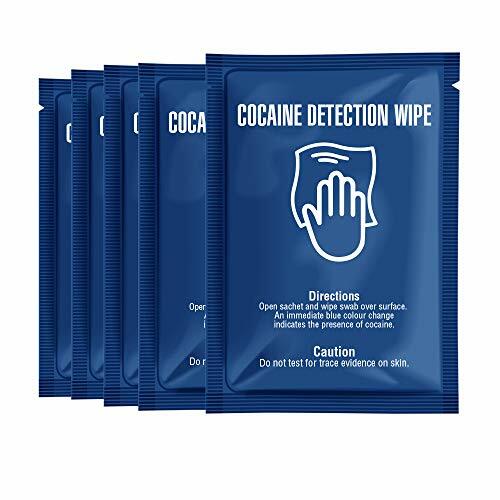 Simply wipe the test over any surface where you suspect the presents of Cocaine, any traces present will produce an immediate BLUE coloration on the test swab. DO NOT flush the wipe after using, dispose of in general household waste. 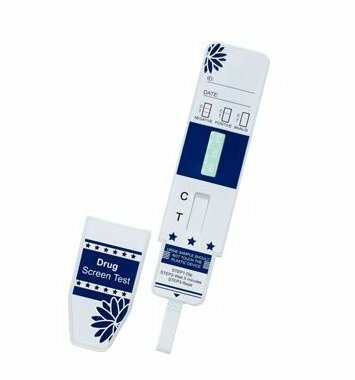 Urine drug testing is one of the most popular methods of random drug testing for recent drug use, as they are easy to use and provide fast and accurate results. Our FDA Cleared and CLIA waived test kit offers the latest advancement in drug screening technology. Easy to us results in minutes. 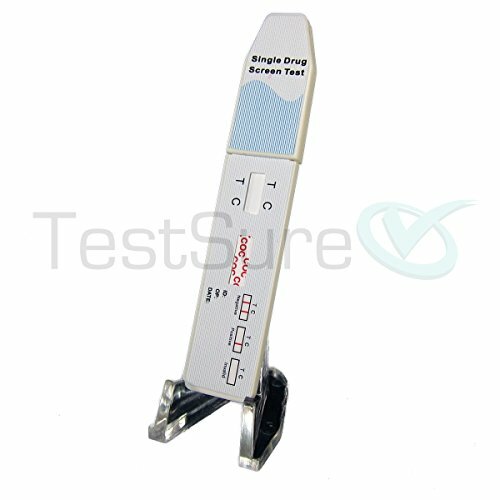 If you need fast and accurate results, but don t want to deal with the hassles of waiting on the lab, add one of these to your cart today! Meets SAMHSA standards for substance abuse screening. Same science used as Lab screen test but fraction of the cost. 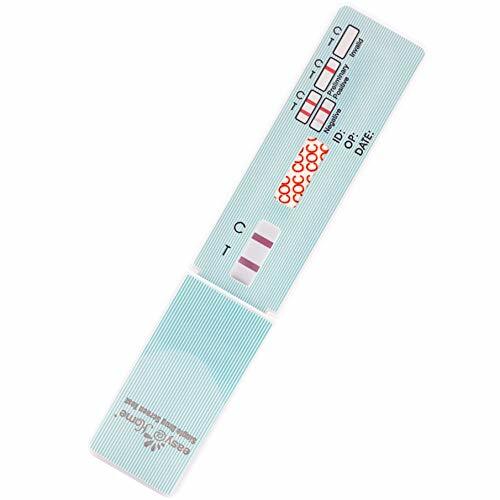 You will receive:50 Pack Individual Easy@Home Single Panel Cocaine Drug Test Kits. 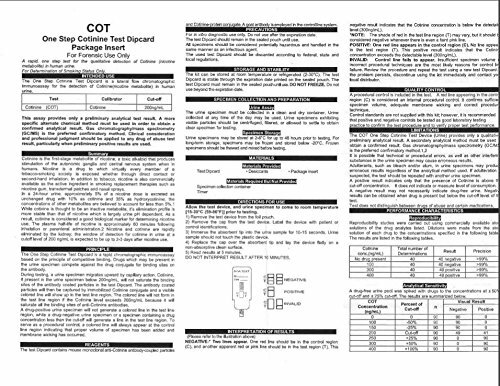 Sensitive one step rapid test for qualitative detection of COC as metabolites in urine. Cocaine and its metabolites remain in the human system approximately up to 72 hours. Cocaine is most often self-administered by IV injection, nasal insufflations (snorting), and inhalation of vapor from the heating of the free base (smoking).